The selected product is currently out of stock. Enter your email address here and we will inform you as soon as the product is available again. The affordable phone that answers your calling demands – plain and simple. For a basic, reliable phone with Made-in-Germany quality, discover the A120. 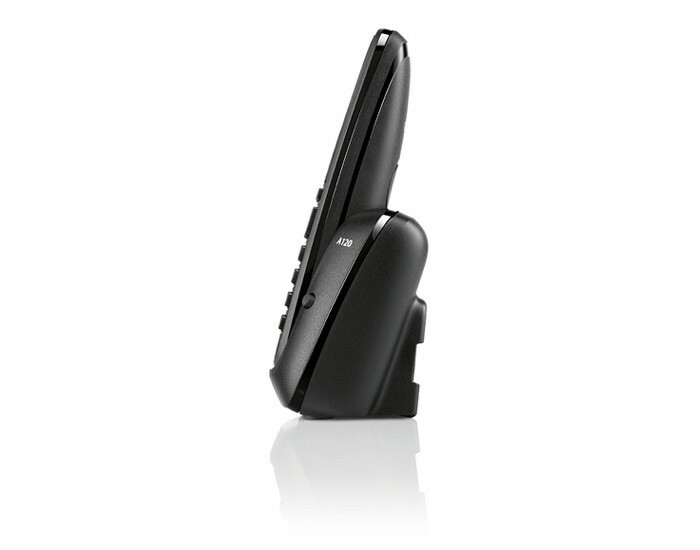 Dialling is effortless, thanks to this cordless phone’s user-friendly keys with sensitive pressure points. Reading the display is equally easy, as it is illuminated and graphical. 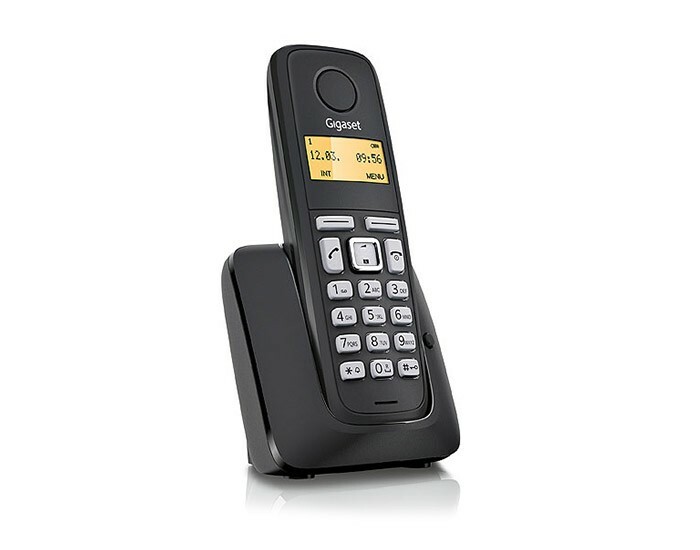 The handset is pre-registered to the base station, enabling quick plug & play setup. 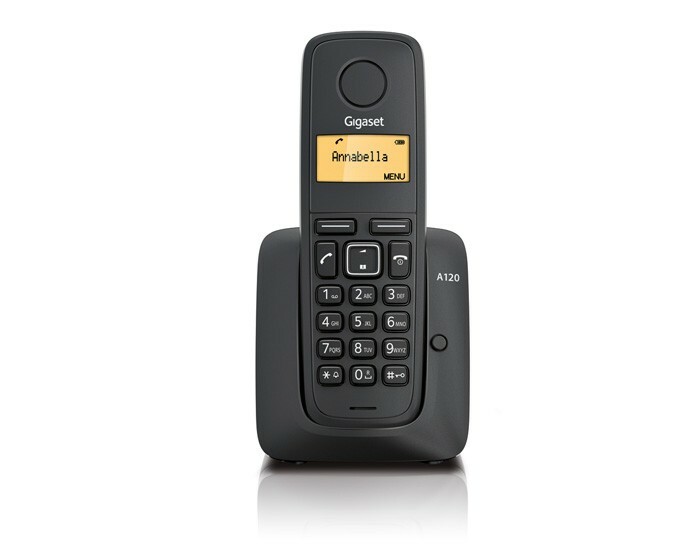 This means that you can begin using the Gigaset A120 right out of the box. 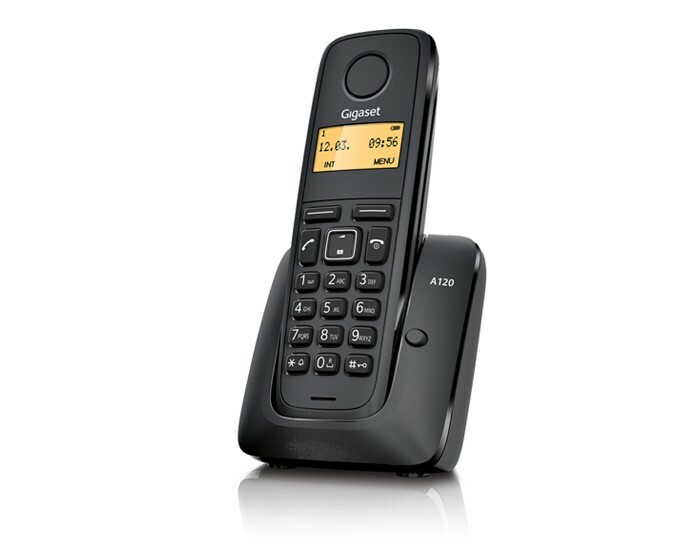 Eco Mode Plus with no radiation1 ensures that the Gigaset A120 is an environmentally friendly choice in telephony.